The FullDome Lab co-production with Fulldome Film Society and FisheyeVision, Solar System: A Wonderful Journey has just won the Most Popular Film Award at the 6th Chinese Science and Technology Museum (CSTM) Popular Science Film Panorama, a part of the Beijing Film Festival. At the Mumbai Rath Yatra festival in mid-March devotees of the Hindu deity Jagannath enjoyed a new animated film, created for Govinda VedicPlanetarium, by FullDome Lab, specifically for the event. IAAPI EXPO 2016 Mumbai, Our staff were recently in Mumbai, India for the Indian Association of Amusement Parks & Industries Expo (IAAPI EXPO 2016).We showed our latest immersive dome content including Samskara, Dino Planet and Chiang Mai Deep Trip along with our fulldome shooter game – Earth Patrol. Chiang Mai celebrated its old city with some new technology when organizers of the city's 720 year anniversary festival invited FullDomeLab and Fulldome.pro to join the party. The 5 meter dome showed Samskara, Gopal, Chiang Mai Deep Trip and other FullDomeLab productions and certainly provided a contrast to the displays of traditional Thai dance and regional costumes at the celebratory exhibition. The TEDx Chiangmai event held at Le Méridien Chiang Mai, on Saturday 30 January gave locals and visitors an opportunity to experience some of the creative work of local businesses and organizations. 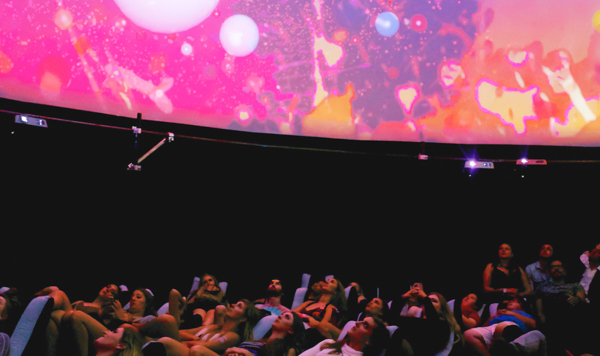 In particular, guests had a rare chance to see the work of the FullDome Lab production studio in Chiang Mai. Our staff have just returned to Chiang Mai from Bangkok where, at the invitation of the Software Industry Promotion Agency (SIPA), FullDome Lab and Fulldome.pro joined hundreds of businesses from Thailand and Asia at Software Expo Asia: Digital Integration, at the Queen Sirikit National Convention Center. On Tuesday 5 January 2015 FullDome Lab was honored to host faculty members and students from Nanyang Technological University, Singapore , NTU School of Art, Design and Media (ADM) in Singapore at our production studio in Chiang Mai, Thailand. 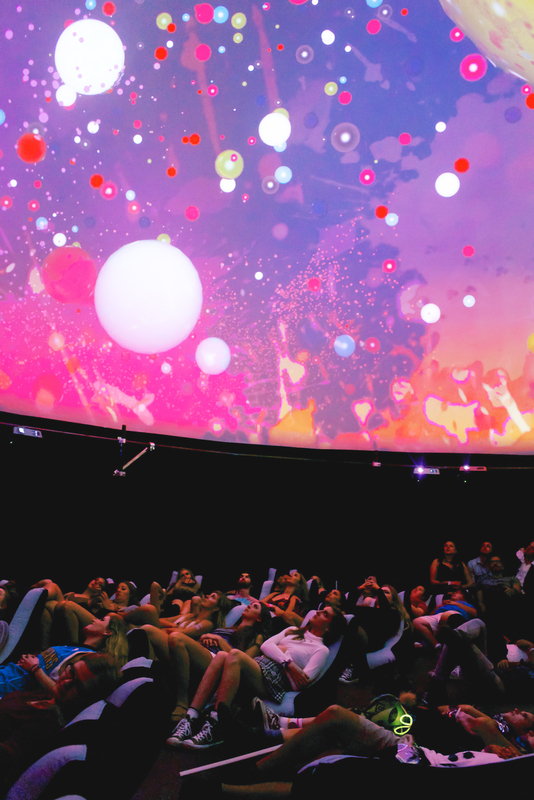 Fulldome.pro supplied a 7 meter/23 foot dome and projection system to NTU in June 2015 and the visit provided an opportunity for the school to show how they have used it to produce and display immersive ‪#‎fulldome‬ content and for the team at FullDome Lab to share some of their latest work with the students and professors. From 27-30 December Fulldome.pro and FullDome Lab joined thousands of smiling Indians to experience electronic dance music by over 250 artists from Axwell to Zedd at the VH1 Supersonic 2015 festival on Candolim Beach, Goa, India. At the official launch of the celebration on 18 December, the 1.8 meter/6 foot diameter NanoDome gave guests a taste of what to expect from the 7 meter/23 foot diameter dome that would be the center of festivities the following week. It's not every day the star of the film you have just watched invites you star in a film of your own but that is what happened to the P1 class of Panyaden School, Chiang Mai. The students were visiting the FullDome Lab production studio in Chiang Mai, Thailand as part of their “Media Magic” topic. 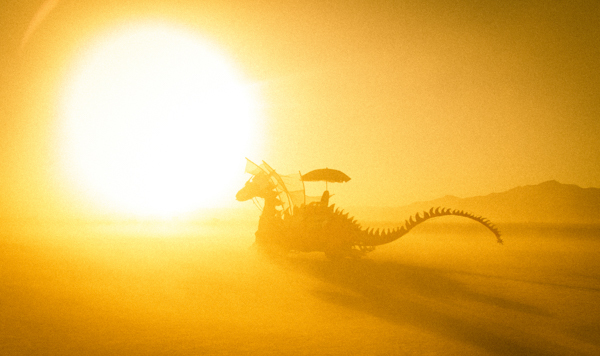 Samskara‬ received an Honorable Mention from the jury at the Immersive Film Festival 2015 in Espinho, Portugal. A collaboration between renowned digital artist Android Jones and FullDome Lab, Samskara is a stunning visual journey into the mind that combines Jones’ two dimensional art work with sacred geometry, to create a kaleidoscope of imagery never seen before. Visitors to the IAAPA Attractions Expo in Orlando, Florida had the chance to be led on a wild journey by Professor Schwartz in Dino Planet, an educational adventure ride created by FullDomeLab. 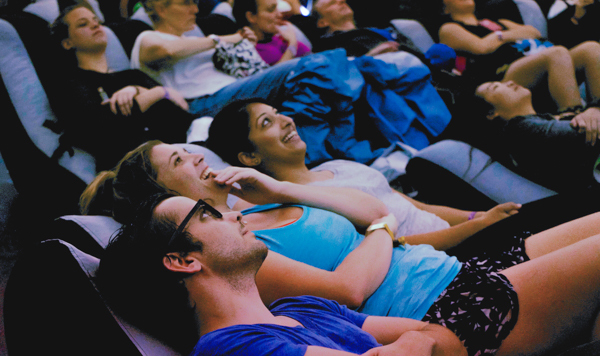 The audience needed to buckle up for the ride as all the twists, turns and jolts of the professor’s trusty Auto were replicated by motion chairs in the dome. Dino Planet is available in both dynamic 3D and immersive 2D versions. Govinda Vedic Planetarium is an attempt to present eternal truths of the Vedas in a modern format. This exhibition uses the most advanced audiovisual technology; a high resolution digital fulldome projection system together with deep digital sound. FullDome Lab is always open to co-operation and collaboration with artists and visionaries to help bring more inspiration to the ‪‎fulldome‬ environment. To this end, we invited representavies of CMU Art Center and staff abd studens from the Faculty of Fine Arts at Chiang Mai University to leave the city for a few hours and visit our jungle studio in the foothills just outside Chiang Mai, Thailand. 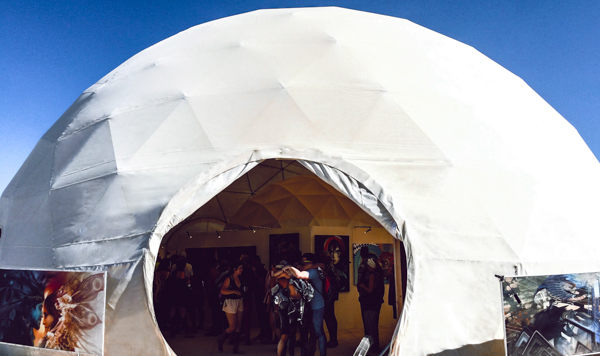 FullDomeLab worked with LikuidArt to produce a stunning exhibition for the Pepsi Art Dome at the Voodoo Music + Arts Experience 2015 (a.k.a. VoodooFest) held in New Orleans, Louisianna over the Halloween weekend. Likuid Art is a growing online subscription-based repository of original digital and animated art. 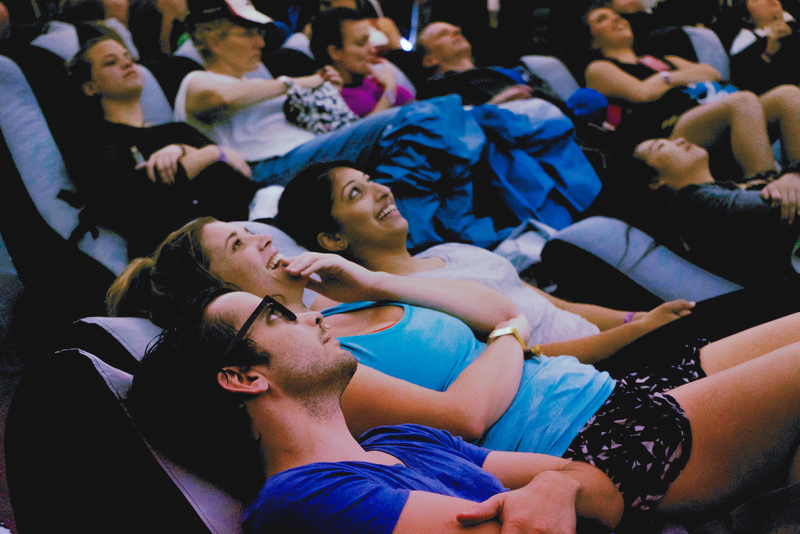 SAMSKARA won first place in the short film category at the Fiske Planetarium international film festival. The FullDome Lab deserves all the credit for their amazing work. In August 2015 our staff and clients got together at KU DÉ TA Bangkok for a party to celebrate our first five years innovate fulldome products, projects and content. After the brief formalities guests were blown away by the stunning digital artistry of Android Jones’ collaboration with FullDomeLab - ‎SAMSKARA,‬ before joining to save the universe from Mesomorphs in Earth Patrol – the world’s first ‪fulldome‬ game. 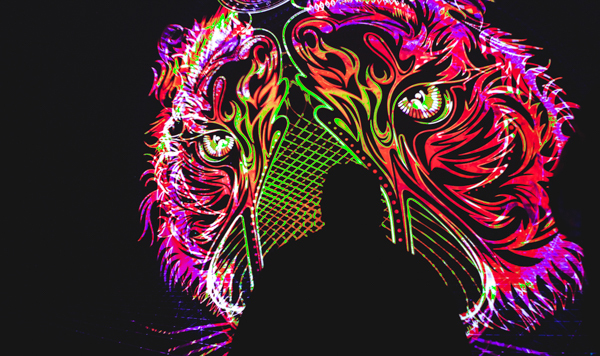 SIGGRAPH 2015 kicked off with an electronic dance party including a live performance by DJ Mobius8 and visual effects provided by Fulldome.pro. 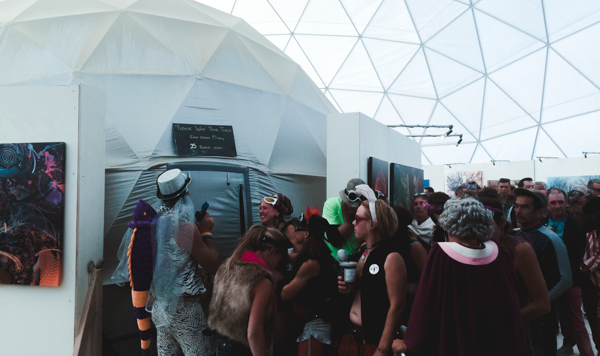 This year’s conference was held in Los Angeles, California and the opening night party was held at the Vortex Dome Los Angeles in the downtown area. 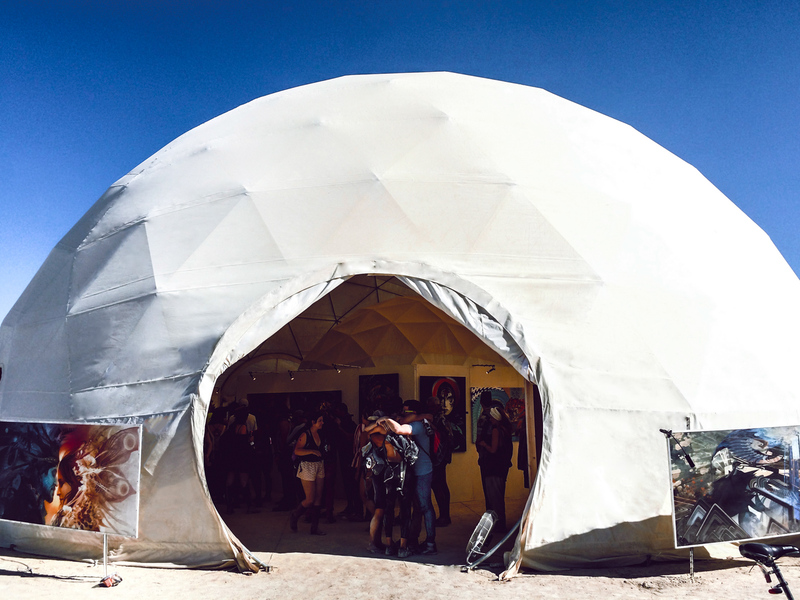 The enclosed dome, built by Fulldome.pro as part of the Museum of Visionary Artists gallery, survived several sand and dust storms at this year’s annual gathering in the Black Rock Desert, Nevada with a help of new dust-proof projector cases designed especially for such environment. 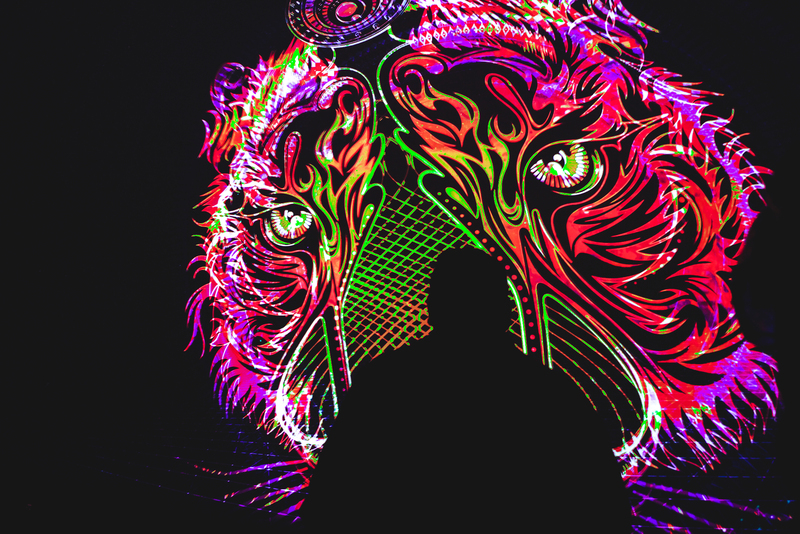 In May 2015 thousands of visitors to the Lightning In a Bottle festival had the opportunity to experience the art renowned digital fantasy artist Android Jones come to life in SAMSKARA, a stunning fulldome collaboration with FullDomeLab. 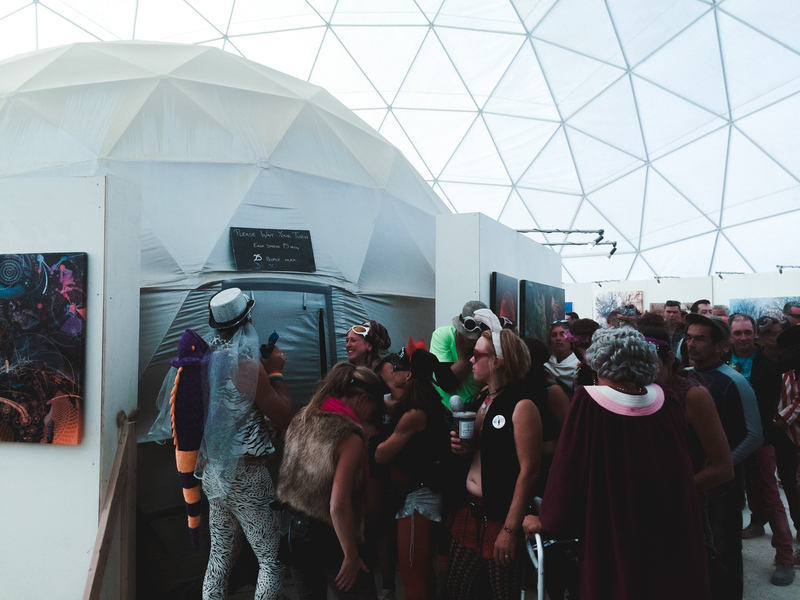 The immersive art experience was a hit at the festival, drawing big crowds, and long queues, to the the Museum Of Visionary Artists gallery, a temporary 60 foot dome that housed a 15 foot fulldome theater. In March 2015, FullDomeLab hosted students and their teachers from Panyaden School, Chiang Mai at our studio in Chiang Mai, Thailand. The Grade 1 students, aged between 6 and 7, were learning about how people communicate using 3D media, as part of their Media Magic study unit. All items on this website are copyrighted by 360ART.PRO 2015-2016, all rights reserved.